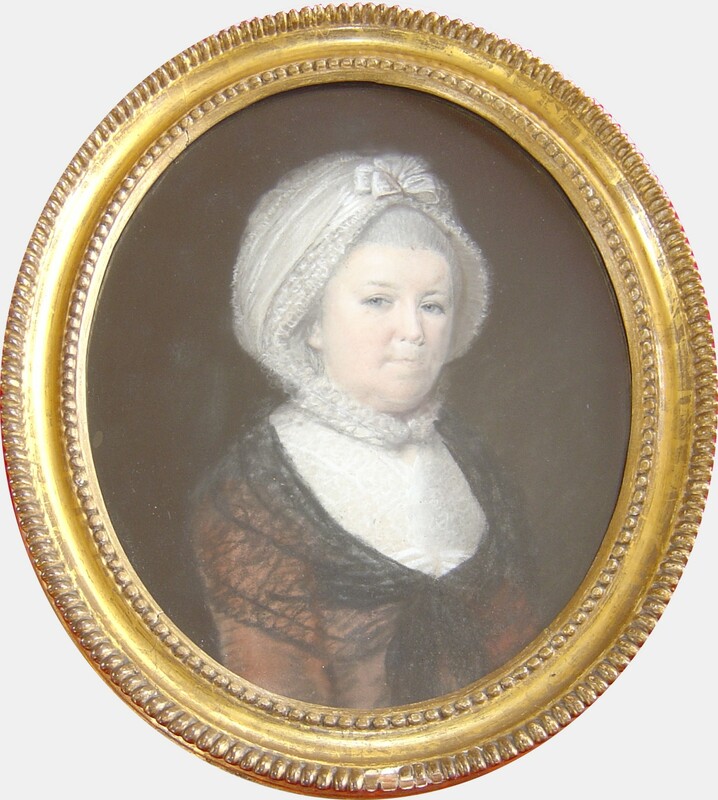 This is a very fine pair of half-length pastel portraits of a gentleman and a lady from the Ingilby Family of North Yorkshire. The gentleman has a powdered wig and is wearing a royal blue coat over a white stock. In the background can be seen the bare trunks of trees. 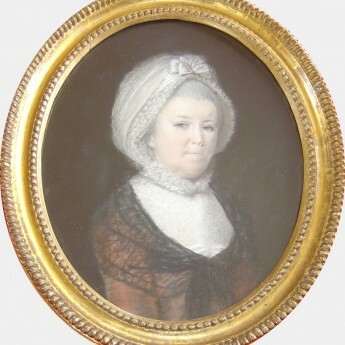 His wife is wearing a brown dress with a white lace fill-in and a delicate lace shawl. 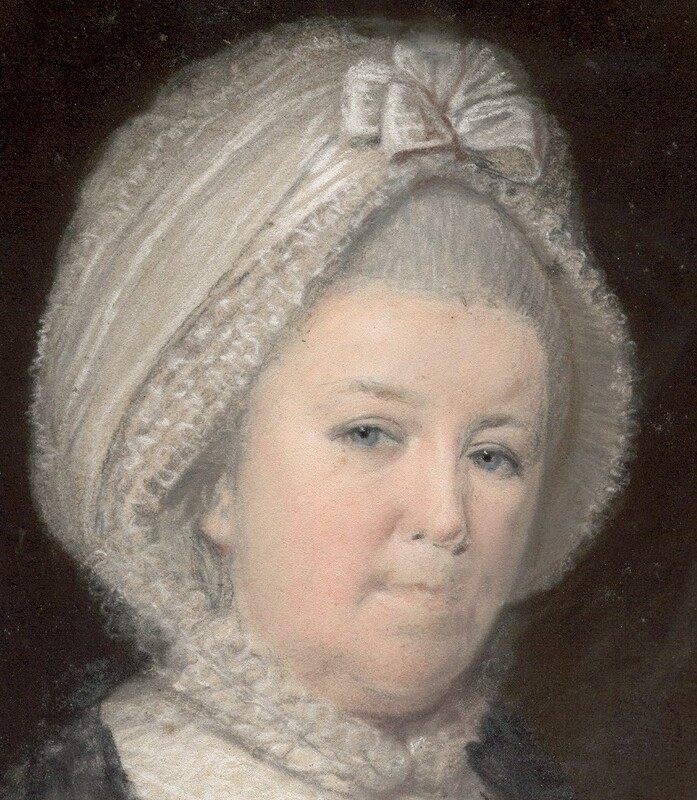 Her close cap is trimmed with a bow and fastened under the chin. 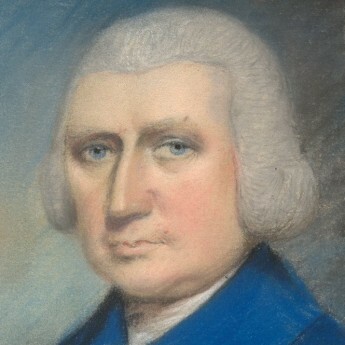 Executed in pastels on blue-grey paper, they are both signed on the backing board: J. Sharples, Grosvenor Place, Hyde Park Corner, London. Excellent condition. Original oval giltwood frames with pie-crust edging. James Sharples was born in Lancashire, England in the mid eighteenth century. He was sent to France to train for the priesthood but abandoned this to study art. 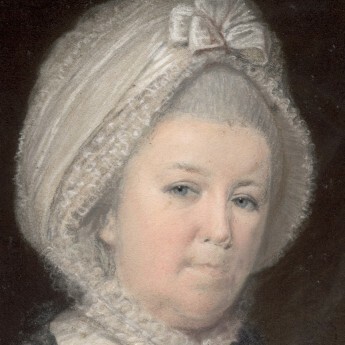 He is believed to have been a pupil of Romney and exhibited first in Liverpool in 1774 and then at the Royal Academy between 1779 and 1785. 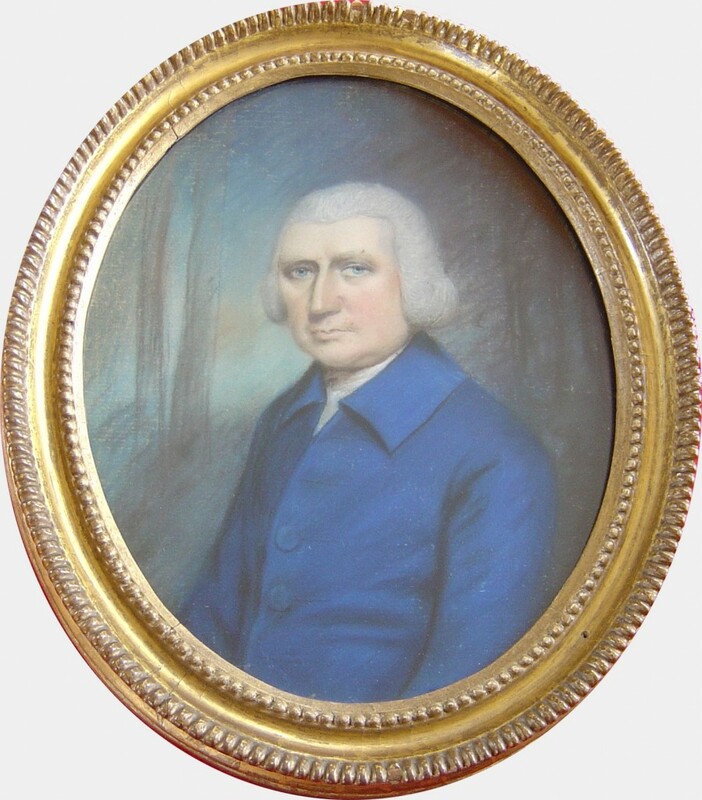 From about 1793 he worked in Philadelphia and New York where he was in great demand. He completed pastel portraits within two hours charging $15 for a profile and $20 for a full face. 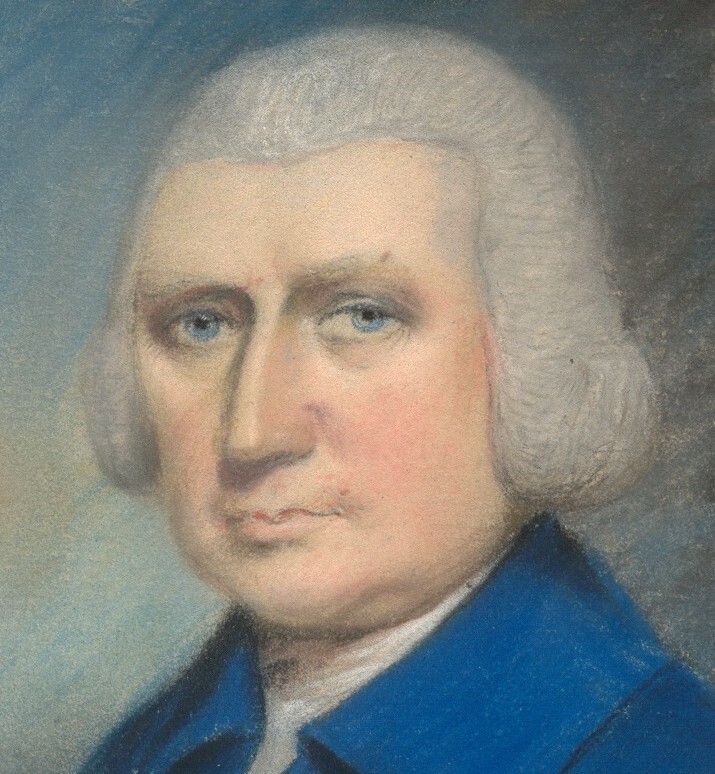 He returned home to Bath in 1801 but subsequently went back to join his sons in New York in 1809 where he died two years later.